Well-known for being home to a number of some of the very remaining wild chimpanzees on the African continent, the Mahale Mountains National Park which covers an expanse of 1,613 sq km was actually gazetted in the year 1985. The park is situated approximately 128 kilometers south of the town of Kigoma along the eastern shore of the spectacular Lake Tanganyika. The park’s western boundary shelters a nearby 1.6 kilometer wide strip of the waters of the great Lake Tanganyika. The Mahale Mountains and the land around this park is the customary homeland of the Waholoholo tribe as well as the Watongwe tribe. Back in 1961 primate researchers from Japan started exploring the shores of Lake Tanganyika, just south of the town of Kigoma. In 1965, these researchers established their initial camp, ‘Kansyana’, within the Mahale Mountains and started habituating chimpanzee groups. The landscape is majorly rough and hilly, and is basically dominated by the fascinating Mahale Mountains ranges which extend from the northwestern part of the park crossing to the southeast. Mount Nkungwe is the highest peak on these mountains and rises to 2,462 meters above sea-level. The Mahale Mountains present a number of exceptional attractions to its visitors, and among these are: snorkeling, tracking of habituated chimpanzees groups, kayaking mountain climbing, fishing, as well as unwinding on isolated unspoiled white sand beaches. Walking safaris within the good – looking, lowland forest offers closer encounters with a number of diverse species of not only birds but animals as well as, among which are habituated chimpanzees groups. The chance to track these habituated chimpanzees in their natural environment is the leading tourist attraction / activity with the Mahale. Climbing the highest summit of the Mahale Mountains; Mount Nkungwe is another very fascinating activity available in this park. The climb goes for to three days to the peak, and the most recommended time to have this climb is during the dry months between May and October. On the other hand camping in the mountain through the nights, offers opportunities to see the beautiful ‘fishing fire’, where kerosene lamps are carried in tiny fishing boats and these actually light up part of the Lake. the There are over 250 fish species found within Lake Tanganyika among which some species cannot be found in any other part of the world. Majority of these are best seen by snorkeling within the shallow waters along the shoreline of the Mahale. 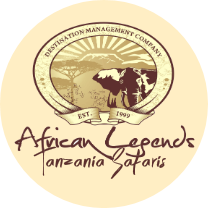 Lengthy walking tours can be organized for viewing the large game like lions, buffalos, elephants, giraffes, leopards as well as hippos. These walking safaris can go for about seven days. Sport fishing is majorly done the Lake Tanganyika a fresh water lake and can be done by only visitors who have acquired licenses to do so. Cultural tourism trips comprising of visits to the adjacent villages can additionally be organized. The historical town of Ujiji as well as Kigoma town are very appealing to tour. Kigoma is actually the capital of Kigoma District as well as the economic hub of this region, whereas Ujiji is a stunning historical town that dates back to the time of German colonial governess within Tanganyika. Dr. Livingstone traveled to the town of Ujiji in the 19th century to the then prevailing slave trade. Additional tourist destinations in Tanzania’s western region can actually be harmonized with a visit to the fascinating Mahale Mountains National Park and among these are: the Gombe Stream in the north as well as the Katavi National Parks, found south of Mahale. Early in the morning board a Charter flight from the city of Arusha to the Mahale Airstrip. 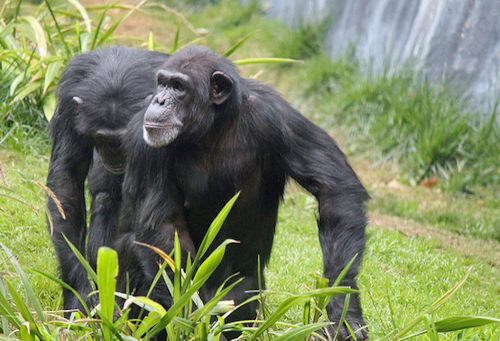 After Breakfast at your lodge, set out in the morning you a thrilling Chimpanzee trek. Return for Lunch at the Lodge, and spend the Afternoon at your own leisure, Evening Sundowners on the Beach. Following Breakfast at your lodge, with a Packed Lunch you will be transferred back Mahale airstrip in the morning by a 1.5 hour Dhow ride. Take a Charter Flight back to Arusha. Among the Additional activities you can enjoy are: a Boat Safari, Kayaking trips, Snorkeling and Fishing excursions.